I have been a busy beaver this week. One of my New Year’s resolutions was to revise some of my packets. You know how when you begin painting one room in your house, suddenly it makes all the other rooms look shabby. Then your furniture begins to look a little worse for wear? It’s a little like the “If you Give a Mouse a Cookie” experience. 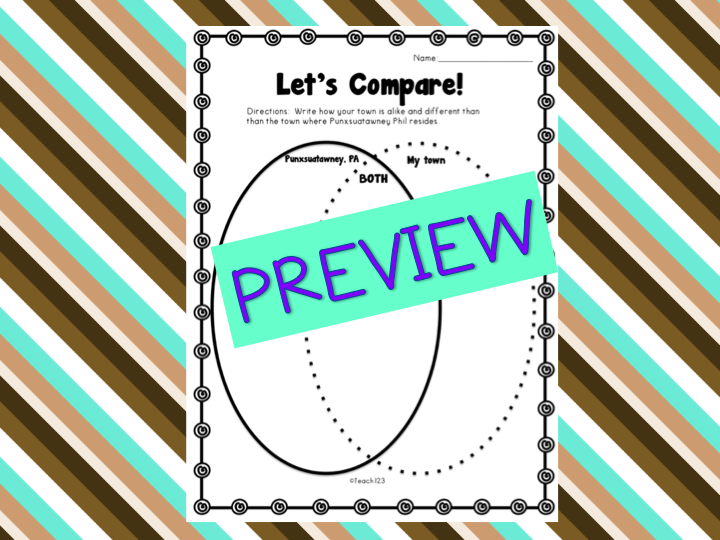 I opened the files and I thought “Oh, this would look better if I added X, Y, or Z clipart/frames/border/background” that I’ve bought since the time that I made that lesson. Well . . . one thing led to another . . . and it is now taking me many, many hours to revise these files. These files are going through a complete beauty makeover. Those of you who bought the original files may go to “my purchases” and download the new version for free. I will notify you on FB when I finish with a packet. 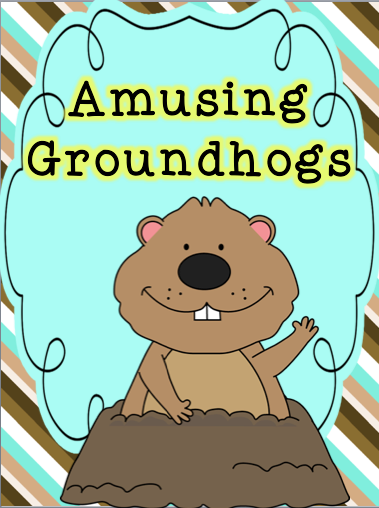 Today’s makeover was my groundhog packet. Student graph their prediction of whether Phil will see his shadow or not. There is also an -ou and -oo sort assignment included. 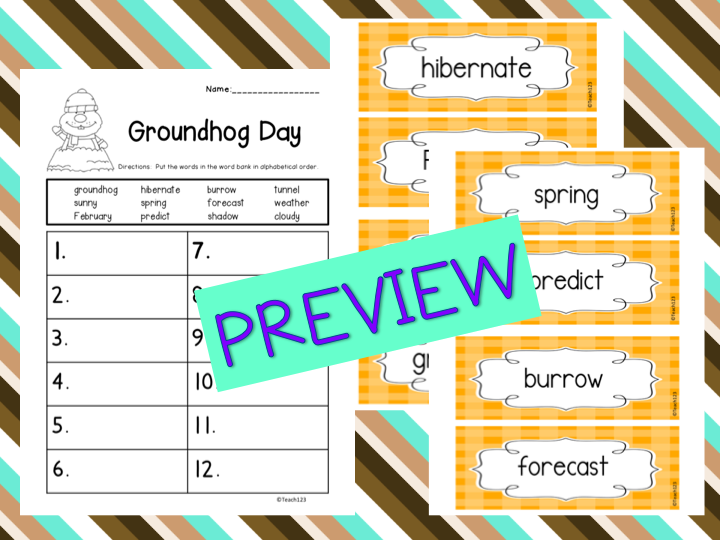 After Groundhog’s Day, student will chart for six weeks the high temperature and type of weather to see if Phil’s prediction was correct. Print the colorful letters on card stock. 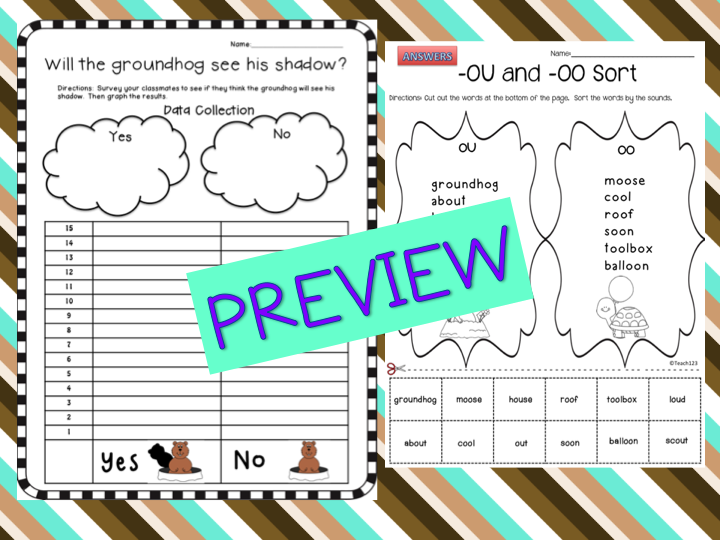 Students will arrange the letters to make new words from the word groundhog and then record their answers on the worksheet. This is a great non-fiction activity. 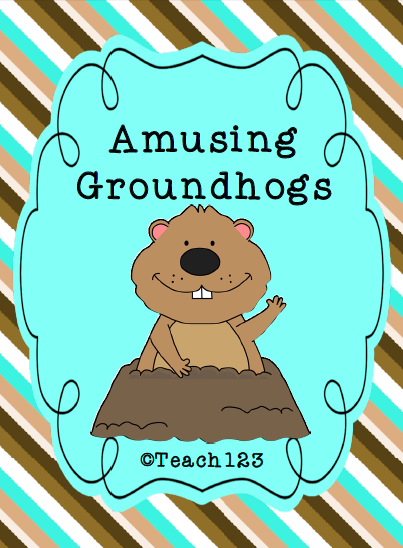 Students find out more about groundhogs. They record their research on the chart. Print colorful words on card stock. 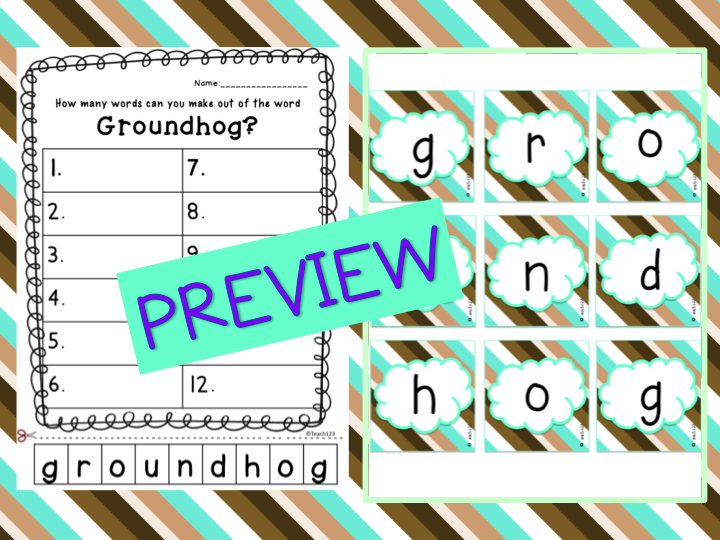 Students will arrange the words in alphabetical order and then record their answers on the worksheet. 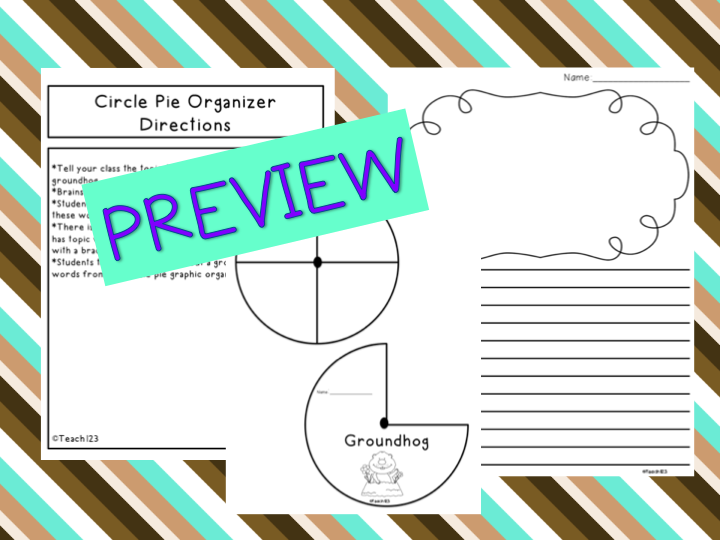 Students will use the circle pie organizer with their writing assignment about groundhogs. Students compare their town to Phil’s with this venn diagram. 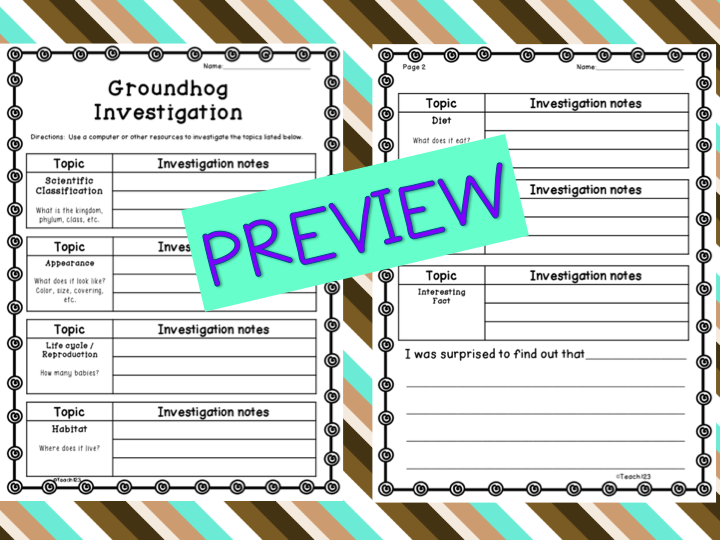 I just gave you a shout out on my post about the Groundhog Project. You have such good stuff! I love your list of books.